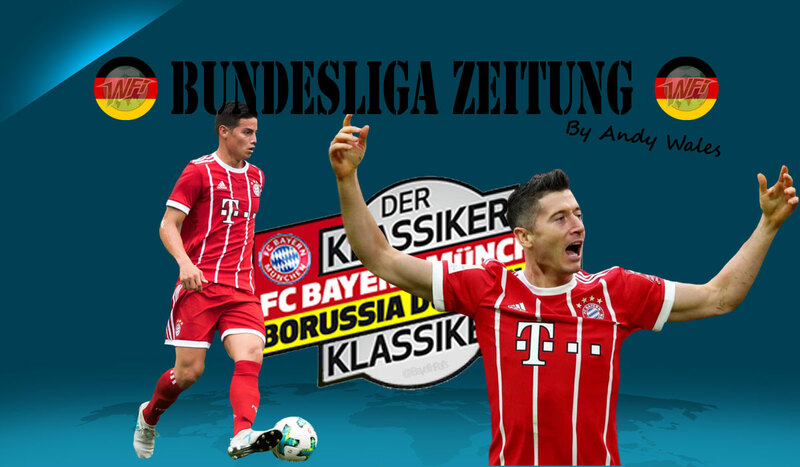 After the international break, the Bundesliga returned and all focus was on Der Klassiker, Bayern Munich v Borussia Dortmund. A 2-0 victory for Schalke over Freiburg meant that title could not be officially wrapped up, but Bayern were determined to take a step closer nonetheless. A Dortmund squad missing Marco Reus, Raphaël Guerreiro and Omer Toprak travelled south to the heart of Bavaria, probably more in hope than expectation. It didn’t take Bayern long to impose their will, and inevitably it was Robert Lewandowski on hand to score the opening goal, even if there was a suspicion of offside. Shortly after, Franck Ribery added a second, but VAR ruled it out to give Dortmund a life line. It didn’t last long, though. James Rodriguez fired home from David Alaba’s cut back, and it took less than ten minutes for Thomas Müller to add a third, smartly finishing a cross from Rodriguez after Gonzalo Castro had surrendered possession on the half-way line. Bayern looked rampant and a dishevelled Dortmund powerless and, quite frankly, clueless as how to stop them. You could sense the fear from the Dortmund as to just how bad this could become and Bayern were in no mood to let up. It was little surprise that things did get worse just before half-time. The defending from Łukasz Piszczek was woeful as Ribery turned back the clock and turned the Dortmund full-back with ease before the ball was somehow bundled over the line. There was a question of hand ball against Ribery and it did seem that perhaps it was an own goal, but it was officially credited to Lewandowski. The Dortmund players could be forgiven for wanting the half-time whistle to blown there and then. Maybe that’s what they were busy thinking about because almost immediately from kick off, Bayern added a fifth, to heap further misery on their hapless opponents. This time, Ribery the beneficiary as he dinked a Rodriguez pass over an understandably furious Roman Bürki. It may be Easter weekend, but there was no coming back from the dead for Dortmund here, no comebacks of biblical proportions. Their only hope for the second half was damage limitation and to salvage some pride. The Dortmund players may have waved the white flag in the first half, but their fans continued to wave the black and yellow flags on the terraces at the interval. Their team gave a more spirited performance in the second 45 minutes, but in truth, Bayern had eased off by this point, conserving their energy for a Champions League quarter-final show-down with Sevilla this week. Götze did hit the post, in an isolated bright moment, but the humiliation was complete in the closing minutes, with Lewandowski completing his hat-trick; a reminder of what Dortmund once possessed in their arsenal. For Bayern, it was all too easy to get inside and behind the full-backs of Dortmund and drive through their midfield throughout this ‘contest’. This game sadly epitomised the growing gap between the two clubs, both on and off the field. For Dortmund, the acquisition of Matthias Sammer as a consultant could prove to be more important than anything that happened on the pitch in Munich because changes are needed. However unfair it may seem, this game and result probably emphasised why Dortmund will not be calling upon the services of Peter Stöger beyond the summer. The job he did for Köln was nothing short of magnificent, but his talents arguably do not match the direction Dortmund wish to go in, and the philosophy they desire. Am I being harsh? Perhaps. The plucky underdog defying the odds and overcoming expectation arguably encapsulates his Köln career in the Bundesliga. The role of underdog at Dortmund against Bayern was all too much and doesn’t fit the mentality that Dortmund have really been looking to instil. They wanted to go head-to-head with Bayern, two heavyweights ready to slug it out, so to speak. At the Allianz, it was more heavyweight v lightweight than two titans squaring up. For Dortmund CEO Hans Joachim Watzke and Sporting Director Michael Zorc, this summer is a pivotal one for the club, and perhaps their future too. Their choice of the next coach has to be the right one and their selections for player recruitment equally important. Dortmund have undoubted talent within their midst, with the likes of Reus, Julian Weigl, Shinji Kagawa, Christian Pulisic and Götze. There is also the promise of Mahmoud Dahoud, Manuel Akanji, Dan-Axel Zagadou, Maximilian Philipp, Jeremy Toljan and Alexander Isak, but they need to be surrounded by more quality to aid their progression. Guerreiro and Andriy Yarmolenko are also talented, but some question marks over them remain. 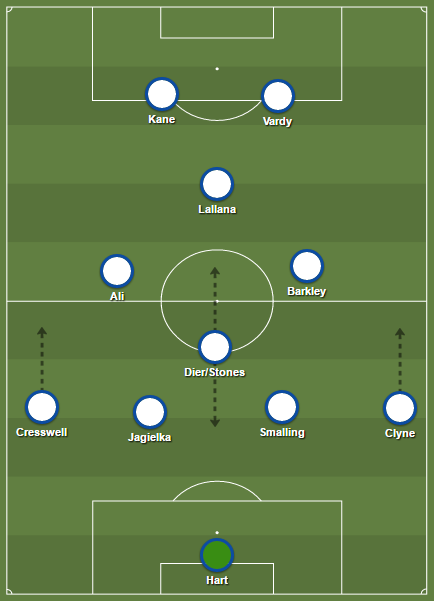 Crucially, their players of proven quality are either past their peak, battling injury issues, or both. The injection of a tactically smart and confident coach with energy is vital this summer, as is the injection of quality into their squad; especially when you consider the vultures are reportedly circling for Weigl and Pulisic. The blend, balance, and direction is lacking at Dortmund, and perhaps the input of Sammer can help address that, but right now, there are certainly more questions than answers at the Westfalen. For Bayern, their imperious march to the title continues and is likely to be confirmed next week. Their attention initially will switch to the Champions League, but long-term will be who takes over from Jupp Heynckes, if he cannot be convinced to delay his return to retirement.